Be prepared to have your breath taken away by the views of healthy forest around you and the sound of the creek gurgling! Close to superb hiking, RMNP, and Estes Park, while still maintaining a private mountain get away! Flexibility here is key! It's year round equipped with well thought out systems while still allowing you to use it as a summer getaway for the whole family! 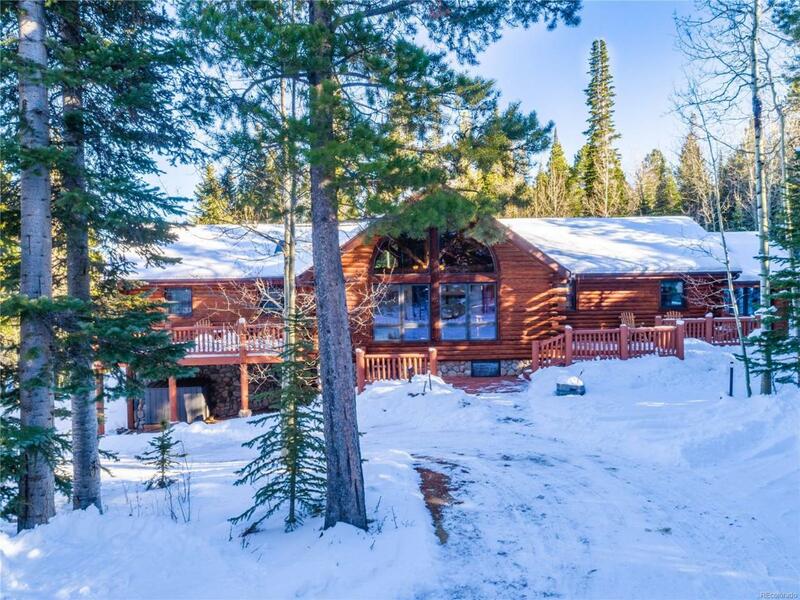 The main level is expansive and peaceful, with gorgeous views of Pine, spruce, aspen and wildlife. You'll love the great room with gas fireplace and gorgeous wood floors, picture windows, skyights, spacious dining area and decks galore, with a sparkling hot tub! Your new kitchen has plenty of room to entertain and create! The lower level has an outside entrance and dedicated sitting room that allows separation and seclusion for your guests with 2 bedrooms and jack n jill bath! This home has been lovingly maintained by the owner!Lease to Own option available with 10% down! Call agent for details!